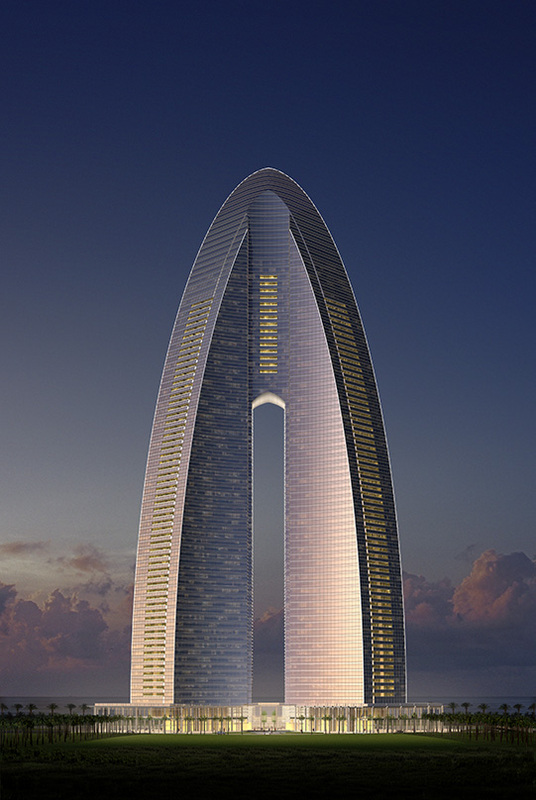 The luxurious residences of The Atrium are designed for Dubai’s prestigious waterfront precinct. 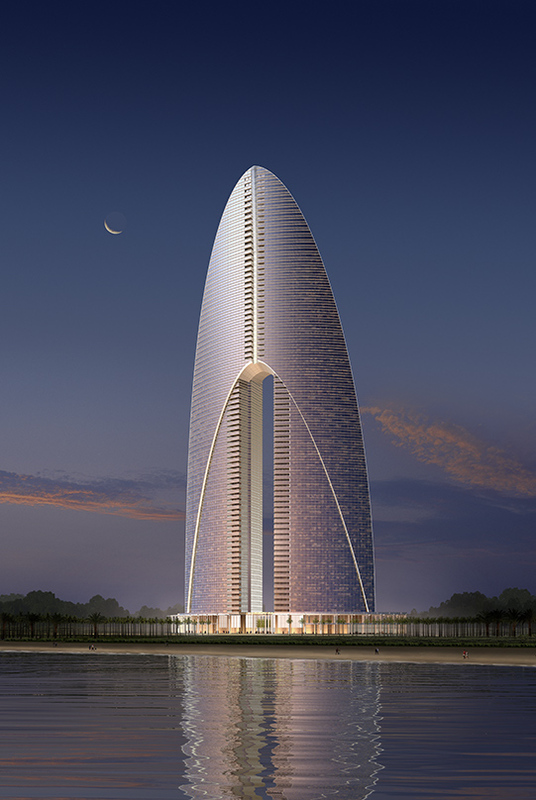 The Atrium’s two towers will rise from park-like grounds to merge at the 47th floor, creating a symbolic gateway to the Arabian Gulf on one side, and the city on the other. 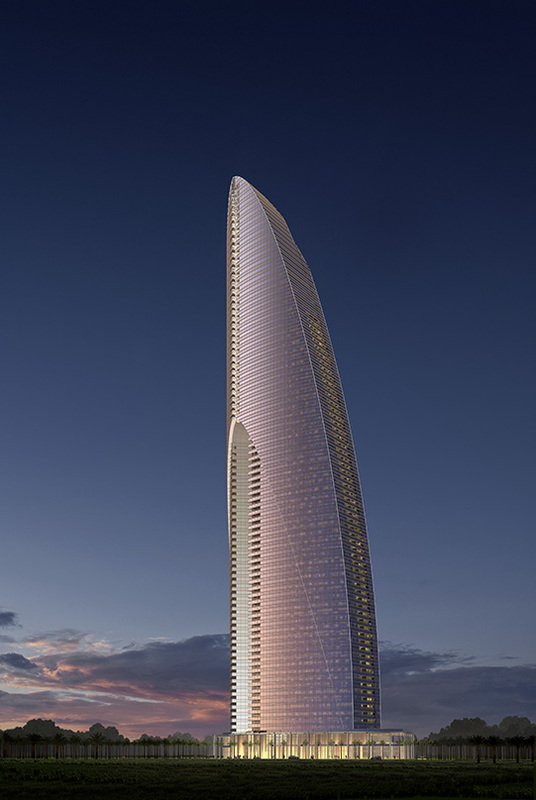 The building’s changing silhouette will express the dynamic character of Dubai itself, and its glass façade will create light-filled interiors changing with the interplay of light from sky and sea. 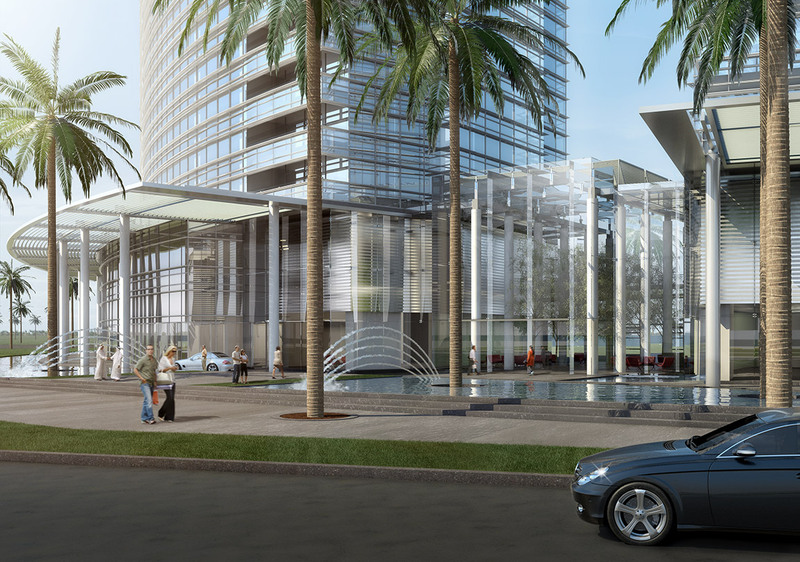 The tower’s base offers specialty shops and restaurants surrounded by gracious gardens and water features. These features, and a winter garden that forms the entrance to the tower, ensure that pedestrians share in the building’s luxuries. 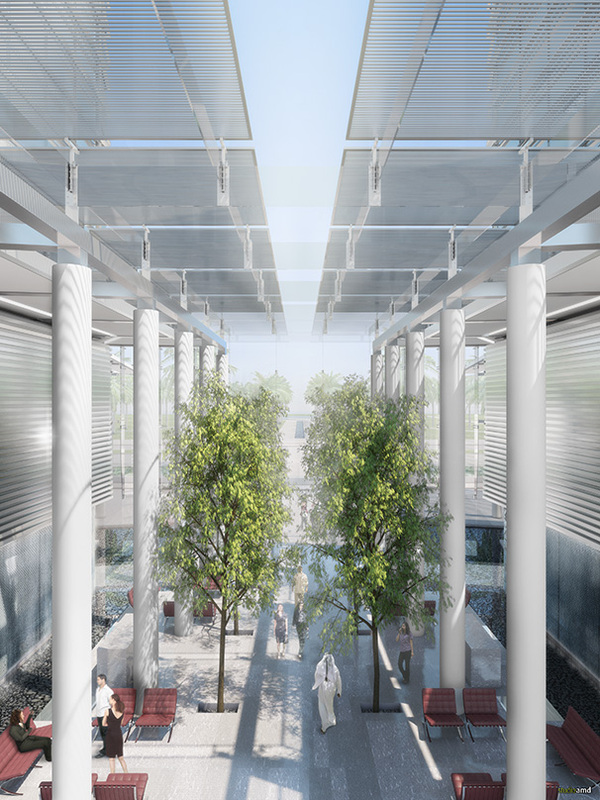 The Atrium captures renewable sources of energy to power the building systems, making it one of the first waterfront developments to comply with the new LEED Gold standard of the UAE.